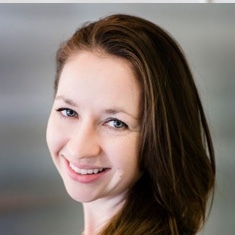 Clare Callahan provides project management, financial management, business development, and technical support to DAI’s Sustainable Business Group. Clare analyzes policies related to oil, gas, mining, and energy access to advise clients on their investment strategies. Her work includes identifying markets for investment in off-grid generation in the Niger Delta, an assignment that entailed data and policy analysis related to community-level energy consumption and national power legislation. Clare also performs local content policy analysis for oil and gas clients. She has field experience in Afghanistan and Lebanon supporting USAID and Department of Defense projects. Rebecca Homan administers the Sustainable Business Group’s customer relationship management system, maintains the unit’s materials, and supports financial transactions.